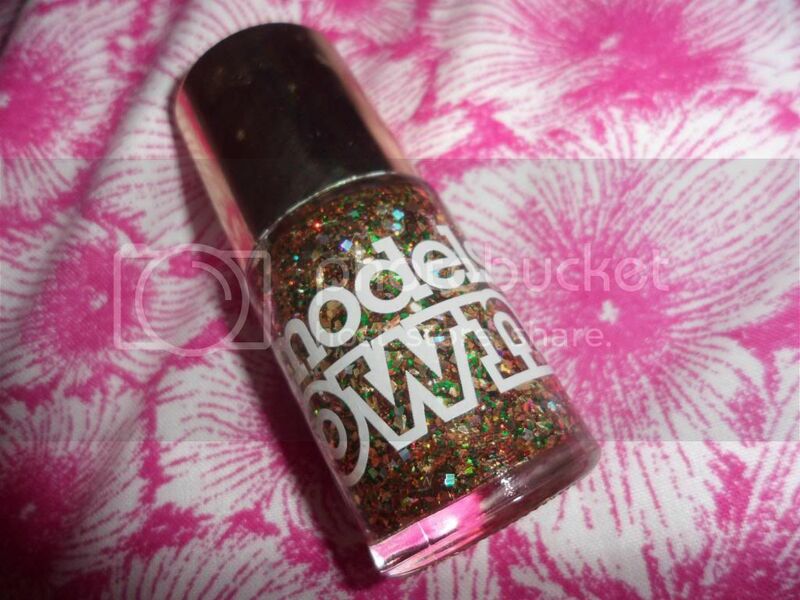 I love a good glitter polish and Models Own (along with Barry M) never fail to disappoint in their offerings. I dug this out of my collection realising that I hadn't used it since Christmas and felt that it definitely needed to see the light of day. 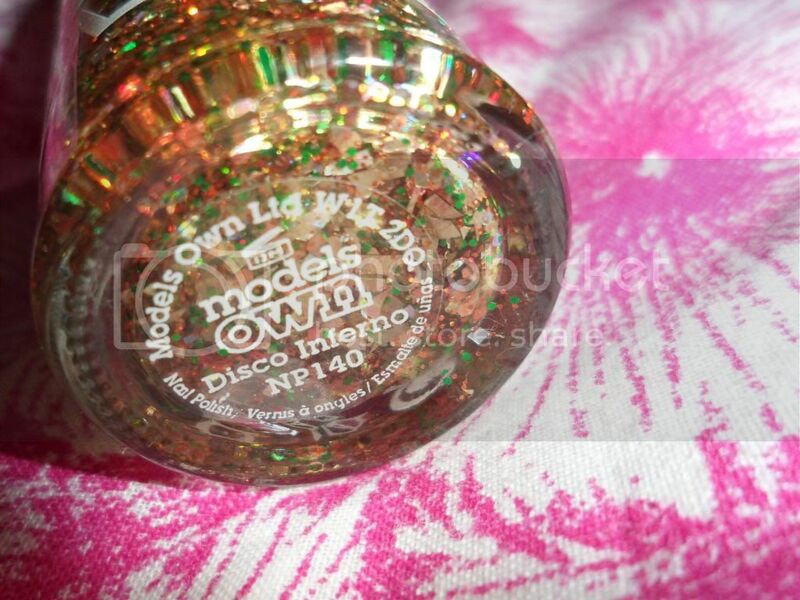 Disco Inferno was a part of the Models Own Christmas Collection, Mirrorball and was one of my favourite collection releases to date (hold the boat for their Neon Collection though *swoon*). 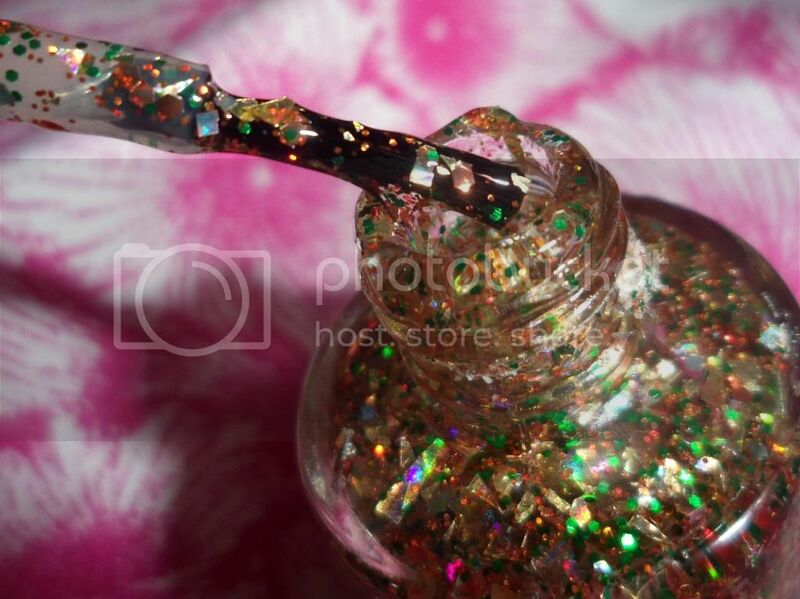 It is a mix of gold, green, silver holographic and rose gold glitter suspended in a clear polish. All of the glitter particles are different sizes giving a gorgeous layered-party-glitter look to the nails. I used Ciaté's My Fair Lady as a base to really let the glitter do the talking. My favourite part of this polish has to be the chunky gold particles in it, as layered up they give a 3D effect to the nail which no other glitter polish can match up to. What do you think? Do you like this look or do you think glitter nails should be confined to the party season?